The small Irish border town of Lifford is abuzz with excitement after it was discovered that a €4.4 million winning lotto ticket was sold at a local shop over the weekend. The owner of the shop who sold the winning has said that he hopes it is a local who bought it, but admits that it could be anyone from around the country. The small shop sees plenty of passing traffic each day with commuters from all around the county stopping by to pick up a few items before continuing on their trip. The shop owner was so ecstatic after hearing that the winning ticket was purchased at his shop that he put up a massive sign. “OMG Check your tickets. We sold this week’s winning 4.4m LOTTO ticket,” the sign read. The numbers that won the lucky player the €4.4 million are: 1, 2, 7, 33, 34, 40 and the lucky bonus number was 6. 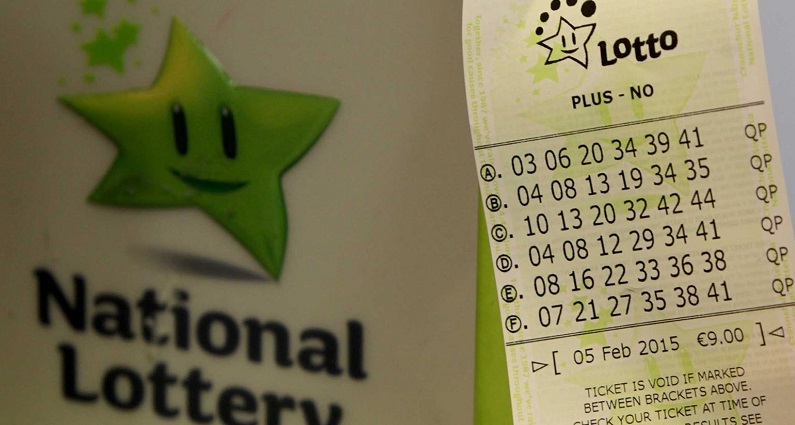 The player chose Quick Pick numbers and the ticket was sold on the day of the draw. The odds of hitting the jackpot on the Irish Lotto compare positively to those of many other lottery games around the world due to players having to pick six balls from a variety of just 47. With a minimum jackpot of EUR2 million and the possibility for the biggest prize to go much bigger as a result of rollovers.